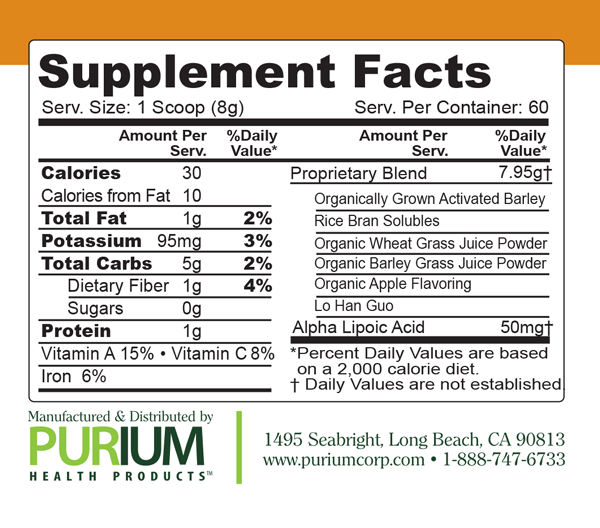 Purium’s Scoop of Greens has all the benefits of cereal grasses as well as whole grains. It has been given the Diabetes Resource Center’s Seal of Approval as a valuable aid for anyone looking to maintain healthy blood glucose levels naturally. Suggested Use: Mix 1 scoop with 6 to 8 oz of water. For best results drink twice a day on an empty stomach.